UCC Spinout and Gateway UCC resident company, Luxcel Biosciences was acquired this January by Biotech multinational Agilent Technologies. Luxcel was established in 2002 based on Intellectual Property from UCC Professor Dmitri B. Papkovsky of the Biochemistry Department (now School of Biochemistry and Cell Biology). Dmitri leads the Biophysics and Bioanalysis research lab, the main focus of which has been in optical oxygen sensors. The company has been led by a young entrepreneur Dr. Richard Fernandes (also former UCC researcher). The company commercialises cutting-edge, porphyrin-based, phosphorescent, oxygen-sensing probes and oxygen sensors, with initial applications targeted at the pharmaceutical, food safety and packaging industries. The company aims to produce fluorescence and phosphorescence-based tools that will provide direct benefits for customers. These benefits include increased speed and accuracy, reduced research and development (R&D) costs for manufacturers, and safer products for consumers. Luxcel started its life in UCC Incubation Centre and outgrew this and moved off campus to an independent facility near Cork. A key success for the company was winning Intertrade Ireland Seedcorn competition award and then grew its business from there. In 2009 they signed a strategic alliance and major investment programme with US company MOCON Inc. which was a tremendous accolade for the company at that stage. The company has successfully developed a number of innovative products (MitoXpress®-Xtra, MitoXpress®-Intra, pH-Xtra and MitoImageTM probe families, Optech® and GreenLight® sensor systems), grown to 13 employees and developed a thriving international market including plate reader screens for drug safety, mitochondrial toxicity, cell bioenergetics, microbial growth. These applications have been widely adopted by the pharmaceutical and biotech sectors, and numerous academic research labs across life and biomedical sciences. 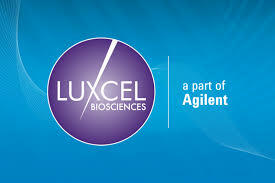 The outstanding innovations and commercial developments of Luxcel have attracted the attention of global leader Agilent who have purchased the company, highlighting the value of the research activity, potential for commercial growth and strategic fit in Agilent’s Live Cell Analysis Division and technology portfolio. This partnership will open new opportunities for the company and indeed continued collaboration with Dmitri’s research team is envisaged. This new relationship promises to accelerate new product introductions by leveraging Agilent’s R&D and global commercial infrastructures with our unique biosensor chemistries and assay development expertise. The initial patents on this technology were filed by UCC in 2002 with subsidiary applications in 2005, 2008 and 2011 creating a portfolio of technologies that were licensed to the company. This technology arose from research funded from national and European sources, particularly Enterprise Ireland.